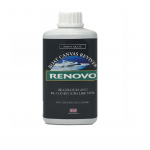 Formulated to restore optimal gloss on fibreglass and gel coat surfaces after cleaning. Suitable for Boats and RV’s.No. 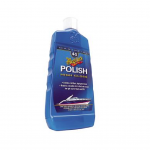 45 polish contains rich polishing oils to feed the pores of the gel coat, producing a high gloss finish. What is the difference between polishing and waxing? 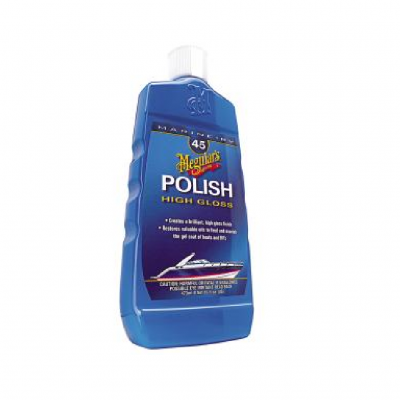 A polish can be best described as a conditioner that restores valuable oils to feed and nourish the gel coat and grp surface, which creates brilliant high-gloss. Waxing protects the high gloss finish from environmental contaminants.Directions for machine use: Shake well, apply to washed and dried surface. 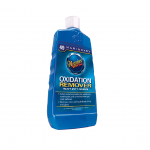 Dispense small amount of product on cool surface or directly on buffing pad. Using light pressure, spread product evenly over the surface, working one section at a time. Do not let polish dry. 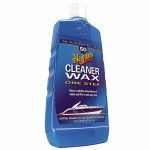 Wipe product off with a clean, 100% cotton terry cloth towel or microfibre cloth, repeat on each section of the boat or RV.Directions for use by hand: Shake well, apply to washed and dried surface. Dispense small amount of product on clean, 100% cotton terry cloth towel or microfibre cloth and work thoroughly into surface, one section at a time. Do not let polish dry. 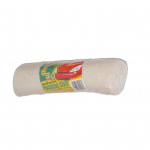 Wipe product off with a clean, 100% cotton terry cloth towel or microfibre cloth. Repeat on each section of boat or RV. Bottle 473ml.